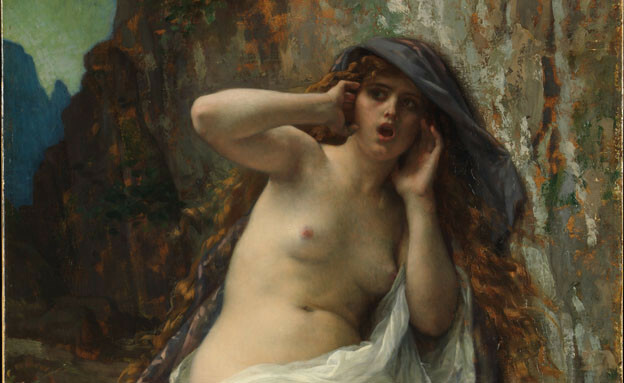 Above: a portion of Alexandre Cabanel’s ‘Echo,’ 1874, oil on canvas, 38 1/2 x 26 1/4" (97.8 x 66.7 cm), The Metropolitan Museum of Art, New York. Echo repeats. Her practice, in eviscerating ecce, exposes the human. For her repetitions point to the obscene, that which we push off-scene, the refuse we refuse in order to make being — our human being — be. “Ergo, echo,” Vanessa Place has said of herself. But if, on the one hand, Echo adds to our artifacts, augmenting our understanding — Echo ergo sum — she does so through what she removes, withdraws, or lacks — Echo ergo subtract, so to speak. Echo’s repetitions become the paradoxical indicator of excess. I wrote about poetics of radical evil, and there must be an art of the same kind. Art that is willing to be affirmatively evil, not immoral exactly, but as a work of malfeasance, not for the polemic or didactic turn, showing that certain things are bad, stupid, etc, that’s easy enough, and sadly it seems one is expected to say these things, which is another form of obscenity, but for a more primal acceptance. This too is our artefact, this too, too human.